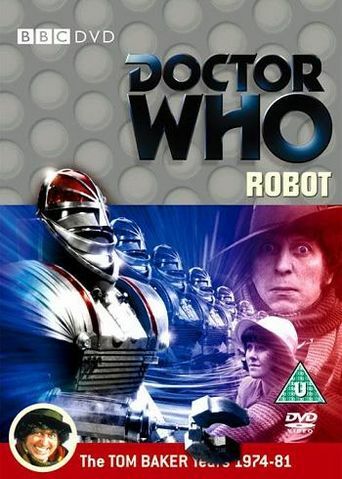 Replacing Jon Pertwee, the longest-tenured actor in the lead role to that point after an impressive five-year run, was never going to be an easy task, and so it makes sense that ‘Robot’ is essentially a Pertwee episode complete with his familiar UNIT family and a threat to contemporary Earth in order to ease the audience’s transition to new leading man Tom Baker. Of course, nobody could have predicted just how instantly Tom Baker would make the role his own and quickly take the title as the definitive Doctor in many fans’ eyes. As a result, though, this makes ‘Robot’ feel a bit as if it is constraining its new lead rather than allowing him to fully find himself. Even Ian Marter’s Harry Sullivan, a character who was explicitly brought in not only to provide a male-female companion dynamic as in the earlier years of the programme but also to cover the possibility of having to be the a more physical male presence should the Fourth Doctor ultimately not be able to perform that task, quickly becomes redundant presence as Baker far exceeded all expectations right from the start. Still, there’s nothing inherently wrong with telling a typical Third Doctor story with another Doctor at the helm, and ‘Robot’ does at least manage to tell an intriguing enough tale to introduce the Fourth Doctor to screens as the titular size-changing robot slowly gives way to the more nefarious and subversive SRS as the villains of the piece. With the tyrannical organization that is written precariously close to being another realization of the Nazi party threatening to hold the world hostage with prominent scientific figures taking their rightful place in the government, this is another familiar development audiences have grown used to over the preceding five years. Unfortunately, the group is never thoroughly explored to give credence to their evil intentions, and even the strong female heading a group that seems to so casually employ sexist views is a missed opportunity. The robot is rather more fully developed at least, though the delivery of its dialogue is likely more campy and angst-filled than intended. However, even as the creator Kettlewell himself sees his apparent motivations completely change partway through the story, the scenes discussing the continued attempts of his robot to discover itself and come to terms with its place in the world as well as its actions are written quite well, even briefly managing to allude to the robotic prime directive of not harming humans in the face of a human menace threatening humanity in general. The design of the robot is somewhat clunky, to be sure, but there’s a sort of charm to its construction as well, and Elisabeth Sladen does fantastic work in making the robot a sympathetic figure in a way that no other person really could have. Obviously, the strength of crafting a Pertwee story for Baker’s debut is that it allows the audience to think about how differently the two actors approach the same situation, especially as the Fourth Doctor seems rather dismissive of UNIT and bearing the same begrudging respect for his family that the Third Doctor learned to have. While the Brigadier is at least somewhat knowledgeable about the process of regeneration, he expects this new incarnation to fill the shoes of his predecessor as if nothing had changed, but the passive aggressive remarks the new Doctor makes as well as the Brigadier’s own excitement about potentially being able to manage a threat without the Doctor both hint that the Time Lord’s time with UNIT is reaching its end. The Fourth Doctor is very much a wanderer at heart who improvises as he goes along, and even Sarah Jane reminding the Doctor that he is still UNIT’s scientific adviser is met with reluctance. In a way, ‘Robot’ seems like the definitive conclusion to the Third Doctor era, bringing with it so many of the Pertwee era’s trusted components while showing how differently two actors can tackle the same character in familiar circumstances. This may not be the definitive regeneration introduction that Tom Baker deserved, but it certainly makes sense within the context of the franchise and does a suitable job in showcasing the bohemian energy of this new incarnation.